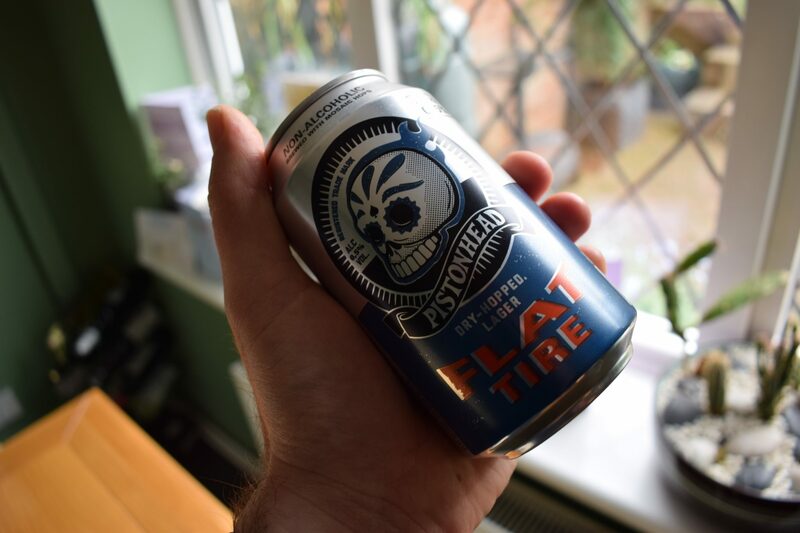 Pistonhead non-alcoholic “Flat Tire” is a dry-hopped lager, with a malty base backed up with tropical fruit in the aroma and flavour. Get tasting notes and find out ingredients, calories, carbs and sugar. In the early 2000s, corporate programmes like Google’s “20% time” – where engineers could work on a side project of their choosing during work time – were all the rage in Silicon Valley’s tech companies. The idea behind these programmes is that employees are be more likely to innovate when they’re working on projects they want to work on. This policy seemed to work well – it’s reckoned that some of Google’s most popular products, including Gmail, were a result of “20% time”. Nowadays, in an effort to recreate the experimental set up of an artisan brewery, big brewers are doing similar. One of these is Sweden’s Spendrup brewery, which set up Brutal Brewing – staffed by a mix of office and brewing workers – in 2011. 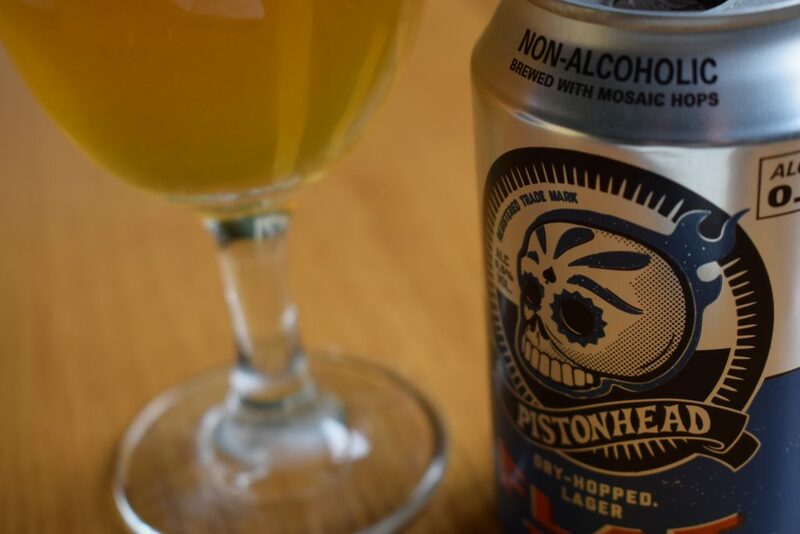 A Brutal Brewing success story is Pistonhead, a range of three lagers known for their distinctive can designs. Recently, Brutal Brewing created a non-alcoholic version of one of these lagers, “Flat Tire”. The original comes in at 4.5% ABV. The non-alcoholic version is 0.5%, satisfying the US and European definition of “alcohol free”. Because it’s dry hopped with Centennial and Mosaic hops, these feature heavily in the aroma. It starts off flowery, piney and citrusy but quickly gets maltier like a typical lager as you take more of a whiff. It’s definitely the best-smelling non-alcoholic lager I’ve had so far. But you might not like it if you don’t like hoppy beers. Flat Tire pours a hazy amber colour with a good head that dissipates quickly. 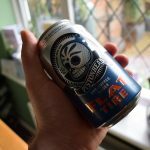 It has quite a thick mouthfeel compared to a typical lager. The carbonation is tight with small bubbles that guard against annoying lager burps. The pine and citrus from the hops continues in the taste. There’s also a little fruit, maybe papaya, in there. This balances well with a good amount of bitterness that prevent you gulping it down too quickly. However, as with the aroma, the interesting flavours soon give way the standard malty taste, which includes a smidgen of a savoury, biscuity flavour. 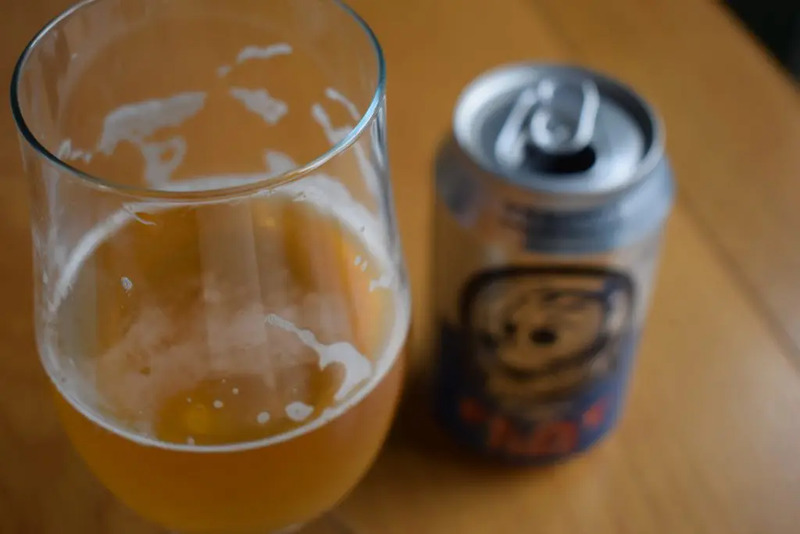 As your taste buds get used to this one, the pine, citrus and papaya disappear leaving an interesting but more standard lager flavour, which gets a little bland by the final sips of a can. At this point, it’s the thicker mouthfeel that sets this apart from other non-alcoholic pilsners and pale lagers. Non-alcoholic Flat Tire won’t rival the best full-strength ales and lagers. But it’s an interesting and tasty non-alcoholic option. You’ll probably enjoy it if you prefer your aromatic, hoppy beers. However, if you’re looking for an alternative to a standard lager, you probably won’t like non-alcoholic Flat Tire.